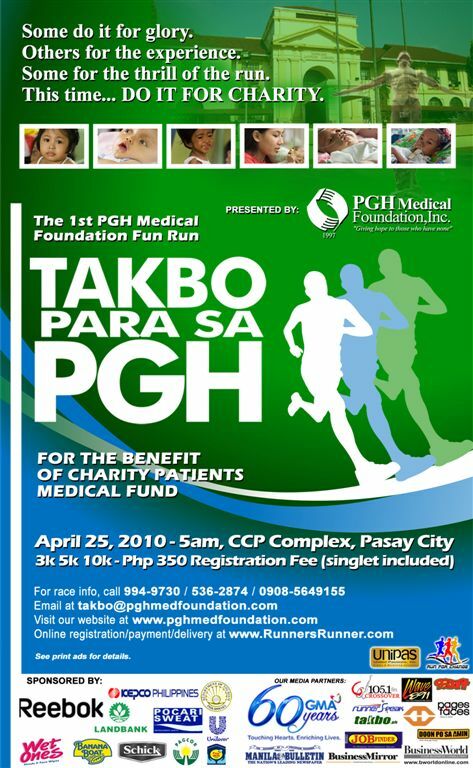 The Takbo para sa PGH is the 1st PGH Medical Foundation Fun Run. Proceeds will go to the Charity Patients Medical Fund of Philippine General Hospital (PGH). For more information, log on to: http://www.RunnersRunner.com.